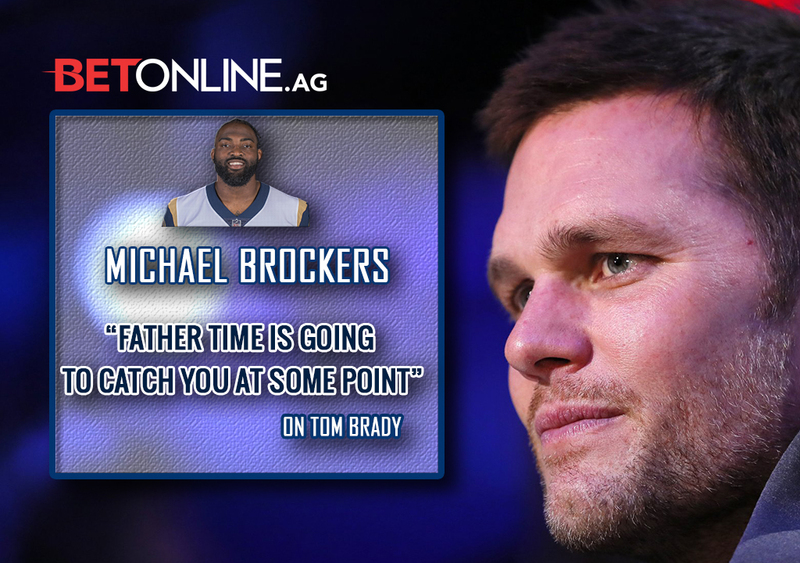 After Robey-Coleman's comments about Tom Brady's age earlier on Monday, Rams defensive lineman Michael Brockers added more fuel to the fire. ATLANTA — Multiple players on the Los Angeles Rams defense seem to believe that father time is catching up to Patriots quarterback Tom Brady. Asked if he agrees with teammate Nickell Robey-Coleman, Rams defensive lineman Michael Brockers said he also thinks that Brady is showing signs of age. “Like I said before, you’re 42 years old in the National Football League; you aren’t going to always play like you did when you were 23 or so. Yeah, father time is going to catch you at some point in time. So, yeah,” Brockers told reporters at Super Bowl Opening Night. “Yes. Yes. Age has definitely taken a toll. For him to still be doing it, that’s a great compliment for him. But I think that he’s definitely not the same quarterback he was,” Robey-Coleman says. “Movement. Speed. Velocity. Arm strength. He still can sling it, but he’s not slinging it as much. Whatever he was doing—because of his age and all that—he’s not doing as much of that anymore. He’s still doing the same things; he’s just not doing as much of it. And sometimes, it’s not the sharpest. But it still gets done,” the Rams cornerback said. At Opening Night, Robey-Coleman walked back his comments on Brady saying he was taken out of context. Robey-Coleman feels his comments were misconstrued, and would later call Tom Brady “the GOAT” as reporters continued to ask him about the Bleacher Report interview. Including the postseason, Brady is the third-best quarterback in the NFL this season behind MVP front runner Patrick Mahomes, and Saints quarterback Drew Brees, according to Pro Football Focus.